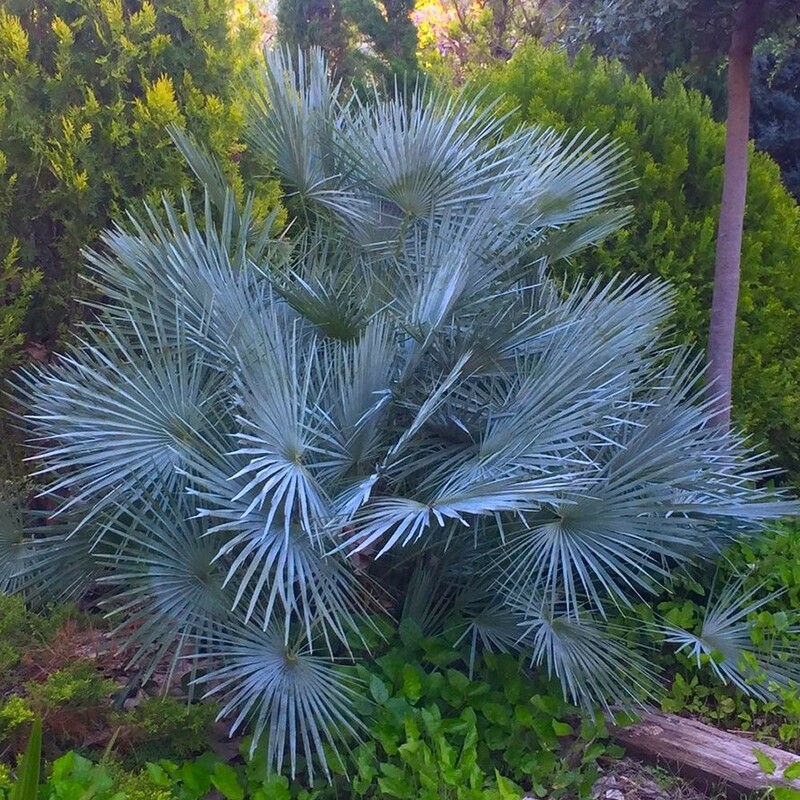 A very exciting addition to our range of hardy palms, this beautiful palm from the high Atlas Mountains of Morocco develops highly ornamental pale blue leaves. 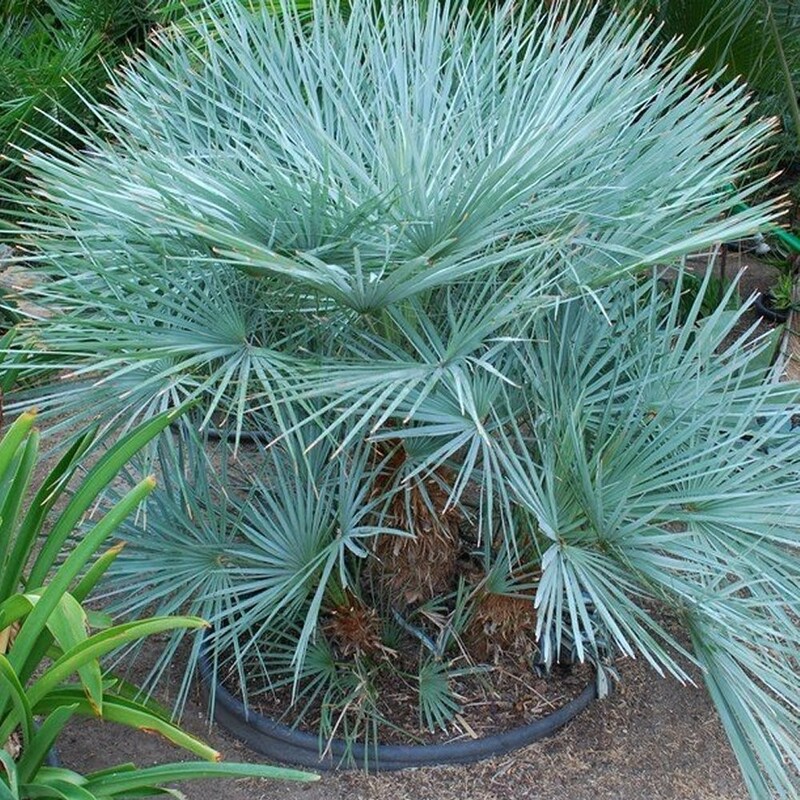 Hard to find, it is very worthy of a prominent position in a patio planter or the garden itself. It is very cold-hardy, so there are no frost worries, it will delight in any garden setting, and even looks good when clothed in winter frost. It also makes a wonderful plant in the conservatory too, where it will thrive in bright light. Supplied as strong, heavy grade plants in approx 5 litre containers. 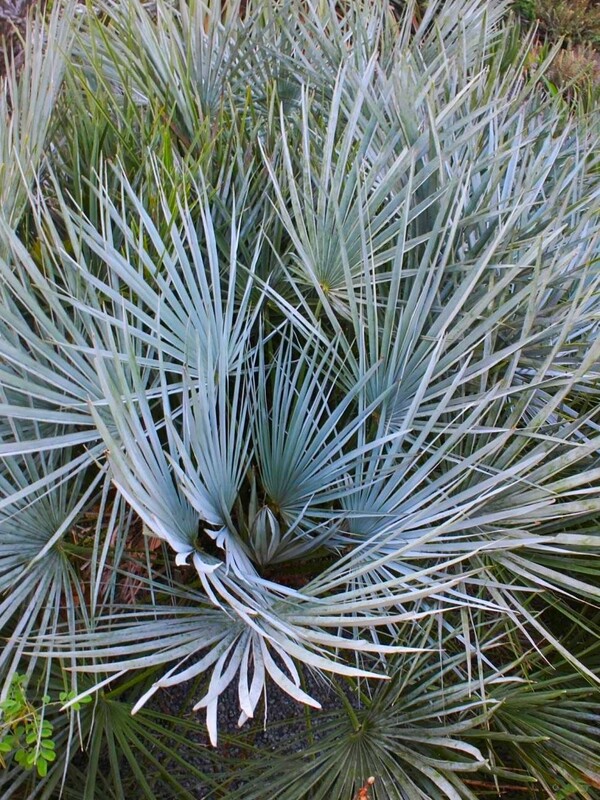 Well worth the extra cost than its green cousin for the unusual factor alone.